I am getting really excited at the thought of May's focus -- household organisation. Our house isn't really that bad, but it could be a whole lot better. In prep, I'm re-reading my favourite (and I've read A LOT) organising book, Organizing from the Inside Out. I am so looking forward to getting out my label maker and getting the boys' toys in the kind of order that would make an OCD kindergarten teacher proud. I will start proper on the 1st, but in the meantime, I just might see if I can get rid of a few car loads of rubbish and donations beforehand. I love purging even more than organising. 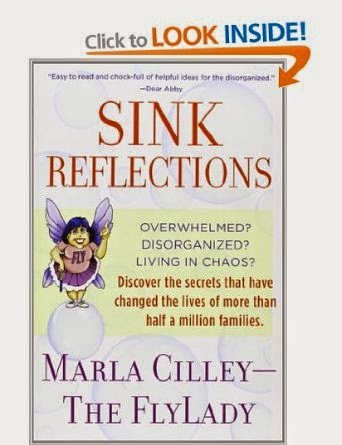 The second book that I shall be re-reading is Sink Reflections. 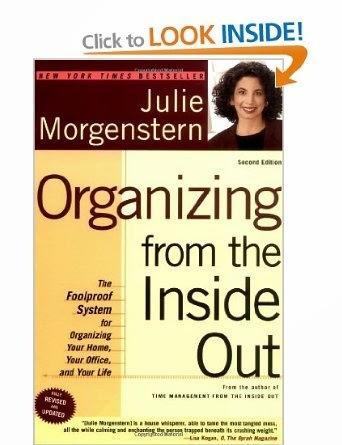 I think Julie's book (Organizing from the Inside Out) is better for thinking through how to get things properly organised, but the Fly Lady is better at thinking through daily maintenance. I wish I had found this book when I was pregnant with Harry. I had a really rough last couple of months. I came off my anti-depressants and I wasn't working. I wasn't sleeping well, I had no structure, and I was depressed. I wasted the time I had off, and that just made me feel worse. Although not marketed as such, the Fly Lady totally gets that kind of lethargic, stuck in a rut state of being. I would have done really well to follow her routines in those weeks. Anyway. I am re-reading, and coming up with some daily routines for May, as well as some large overhaul-the-crap projects. This is going to be oh-so-satisfying. I hope some of you will play along!